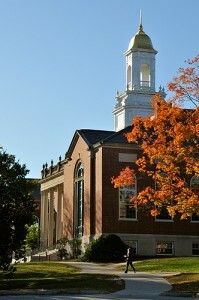 A side view of the Wilbur Cross Building. Students walk along the busway past the Wilbur Cross Building. 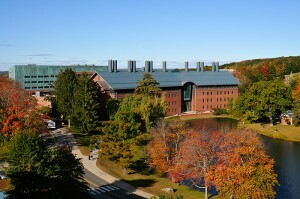 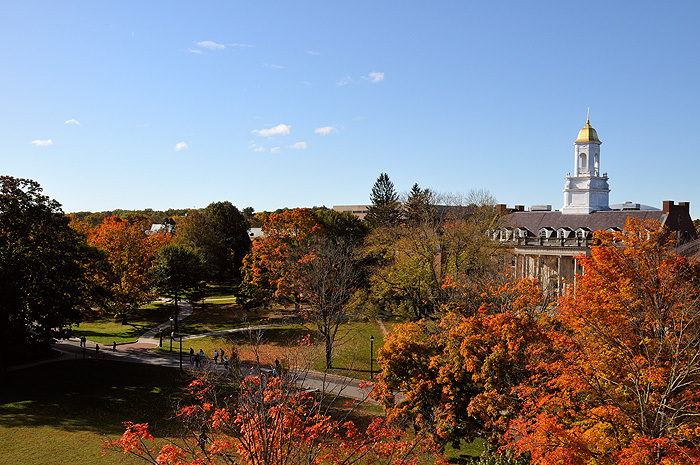 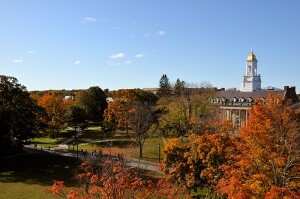 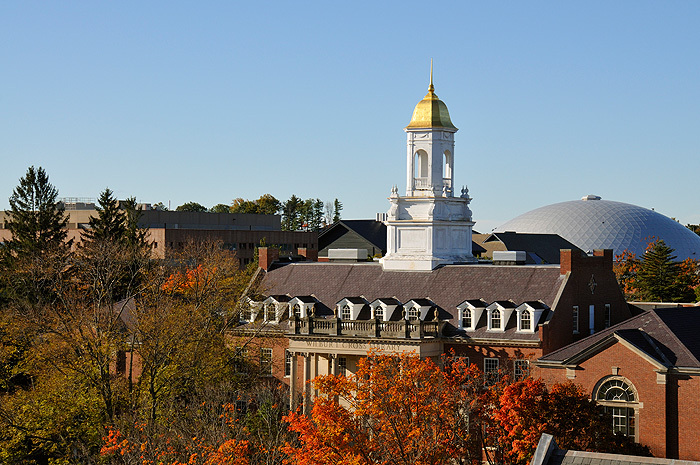 A view of the Storrs Campus, including the Chemistry Building and Swan Lake.